Researchers say Prime Minister Justin Trudeau's portrayal as a "subordinate" male during the 2015 election has changed the discussion over masculinity in Canadian politics. Prime Minister Justin Trudeau hasn't just boosted the role of women in his cabinet — researchers say he's also challenged the role of traditional masculine imagery in federal politics. According to a new study, the 2015 election focused on the manliness of federal party leaders, with Trudeau often portrayed as subordinate in a field of aggressive alpha males. But the study's co-author Jerald Sabin, a research associate with the Carleton Centre for Community Innovation, said that dynamic may have helped Trudeau cast himself as an agent of change in the race. "I think the Canadian electorate got somewhat fatigued with the aggressive, angry, tough approach and took a different direction," Sabin told Robyn Bresnahan on CBC Radio's Ottawa Morning. "If anything, Justin Trudeau's historic victory in the last election is going to open up new space for us to talk about what kind of leader we're looking for for a political party." Sabin and co-author Kyle Kirkup reviewed 756 editorials and op-eds in Canada's top 10 English-language newspapers as well as interviewing journalists who covered the 2015 campaign. They looked for key words reflecting traditional masculinity, such as strength, stoicism and decisiveness. They also tracked emasculating words such as boyish, florid and emotional. Conservative leader Stephen Harper was most associated with strength and toughness for his positions on crime, terrorism and Russia. Meanwhile, NDP leader Tom Mulcair was called "aggressive" and even nicknamed "Angry Tom." As for the Liberal leader, the media reinforced the idea of Trudeau falling short of the traditional characteristics of a male politician, the researchers found. "With Justin Trudeau, we saw the vast majority of the terms were terms of subordination. He is young, he is good-looking, he's boyish, he's emotional," Sabins said. "Sometimes these were positive though. People would talk about him being passionate about the issues." The Conservatives campaign portrayed Harper as traditionally masculine in contrast to Trudeau, according to the study. "[Stephen Harper] portrayed himself as the suburban Everyman, that sort of the 1950s dad on the one hand and on the other hand the tough guy — someone who is going to hold Canada's interest and take on the world." Meanwhile, the Tories ran ad campaigns showing Trudeau with longer, more feminine hair. The mocking tagline, "Nice hair, though," underscored the contrast. "One of the framing questions that the Conservative party put forward was exactly that: 'Can we trust a man who isn't manly enough to be our leader?'" Sabin said. The Liberal campaign used Trudeau's physicality and athleticism to boost his manly image, Sabin said. Campaigners arranged photo-ops of Trudeau paddling down Calgary's Bow River and climbing the Grouse Grind in Vancouver. Sabin said this has continued in government, with media being invited to watch Trudeau train with young people at a boxing gym in New York City. "Everyone plays with masculinity in image-crafting. Sometimes it's used to attack and sometimes it's used to bolster a political leader's image." Sabin's study didn't include the reaction to the recent scuffle in Parliament Hill. Sabin said the Conservatives have shown a shift since the election. "Certainly, we've seen a softer touch on the part of the Conservative party, particularly around its policy positions in the last six months," Sabin said. 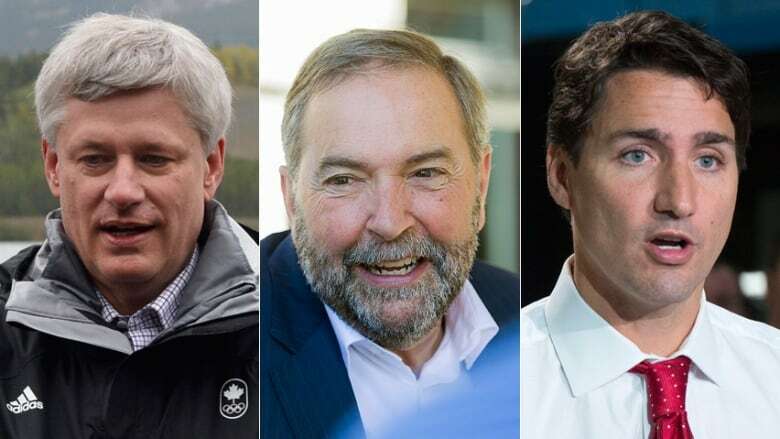 Sabin said this discussion may influence how Conservatives and New Democrats weigh masculine characteristics as they choose new party leaders, whether they pick men or women. If the Liberal party is a 'movement,' what will Justin Trudeau do with it? Justin Trudeau called a #PMILF on Twitter​, but is that a problem?